I know it’s maybe a little bit early to start talking about Christmas, but with all the adverts on TV and pretty festive shop windows I’ve started getting in the Christmas spirit early this year! I haven’t quite started my Christmas shopping yet, nor is the tree up. But it’s all going to begin very soon! I finally caved in and bought an A4 sized light box. I know, I’m a bit late to the party and I tried to resist but I decided I needed one in my life. I bought this one from eBay for £15 and it’s great! 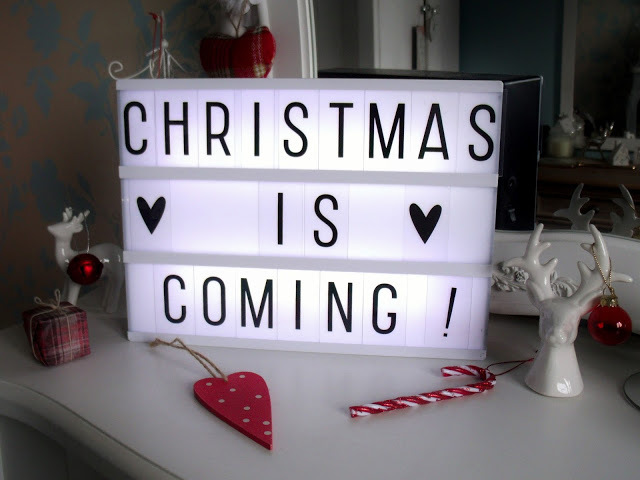 I thought it will be good to use over the festive period to put up little Christmassy messages, maybe even a Christmas countdown! 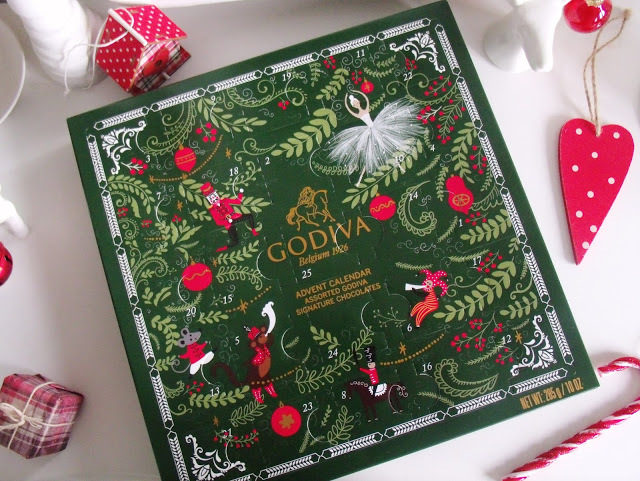 If you’re looking for something special and a little bit different this year, check out this luxurious chocolate advent calendar from Godiva. 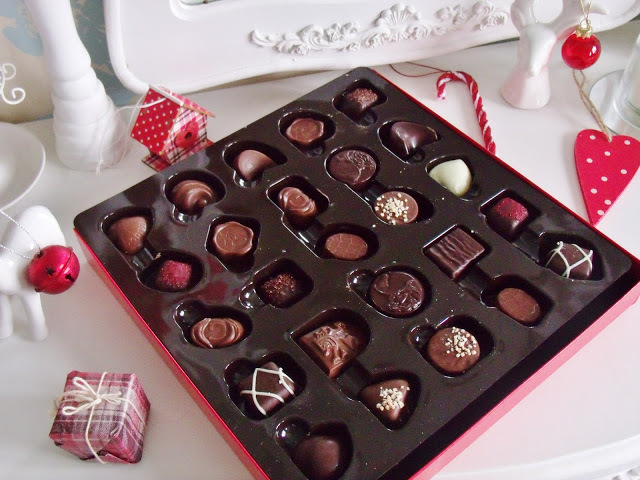 It includes a selection of 25 exquisite flavoured chocolates, a mix of fine milk, dark and white. 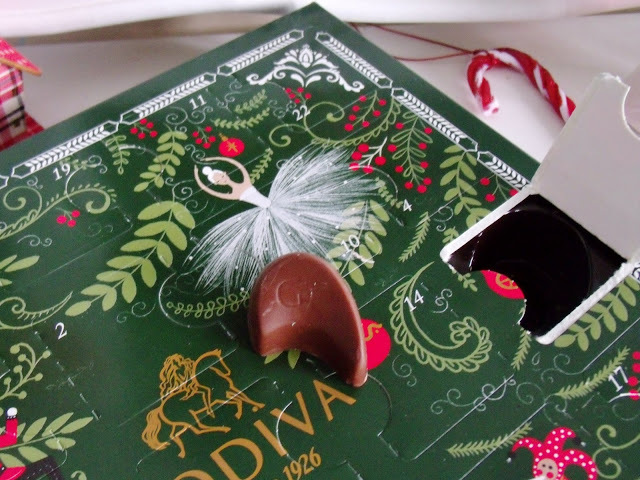 Godiva have been creating gourmet luxury Belgian chocolates for over 80 years. I can think of no better way to celebrate the days running up to Christmas than with chocolate! Perfect to give as a gift or keep for yourself ( I will definitely be keeping this.. bring on 1st December!). Although I haven’t put the tree up just yet I did get some of the decorations out at the weekend and it made me all excited! Rather unnecessarily I bought a couple of new tree decorations (Asda have some adorable ones!) so I can’t wait to the tree decorated. I forgot how many cute decorations we have from last year too! So all the Christmassy cups are now out and although I’m not a coffee drinker, last weekend I did decide to treat myself to a festive Caffe Nero drink. 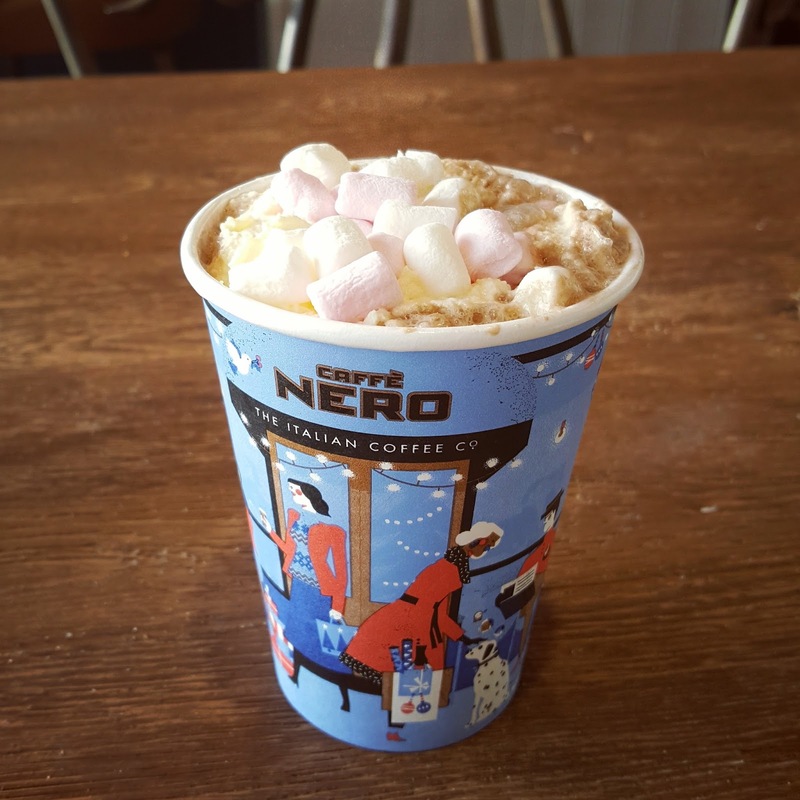 I went with the salted caramel hot chocolate topped with whipped cream and marshmallow. Yummy! 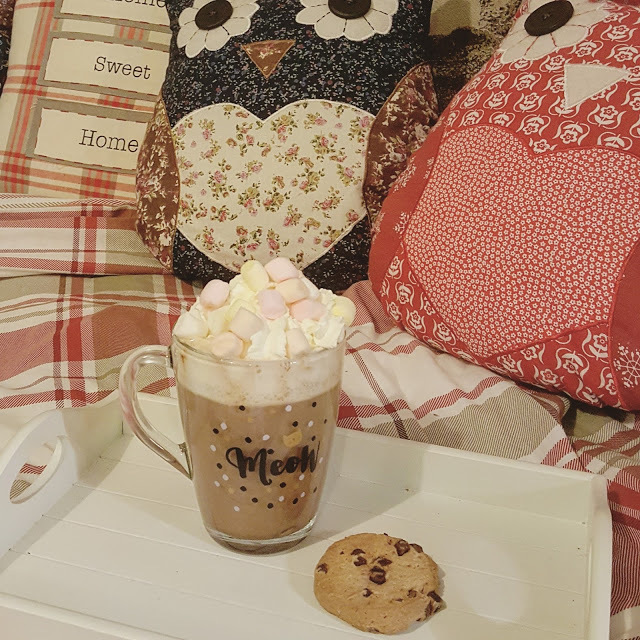 I also decided to get my winter bedding and cushions out now it’s all chilly in the evenings. 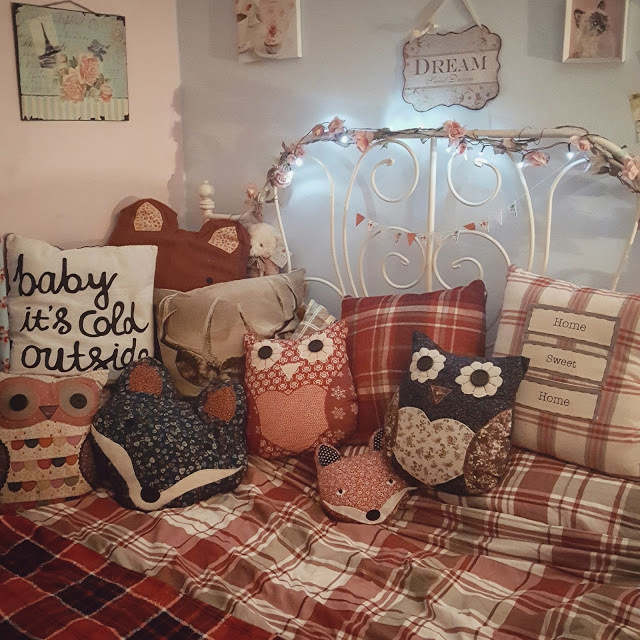 I bought the duvet cover from Asda last year (similar here) and all the cute little owl and fox cushions I’ve collected over the years are from Sass & Belle. Also, the ‘baby it’s cold outside’ cushion I found in Poundland.. bargain! 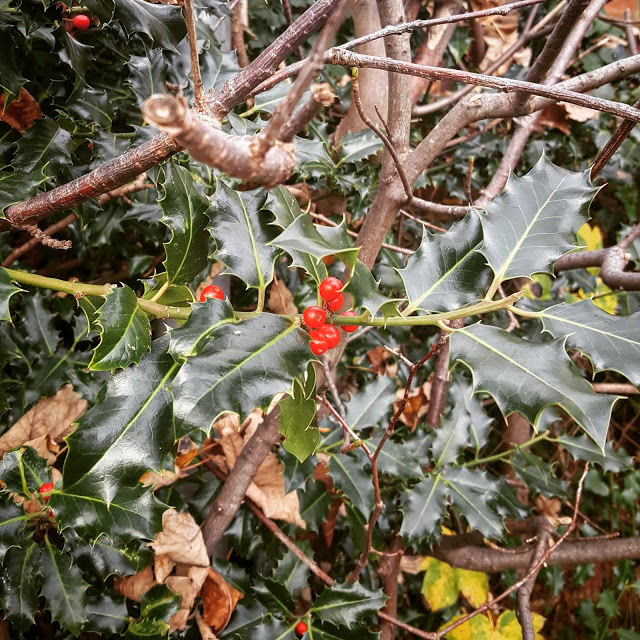 When I was out today I walked past a big holly bush with bright red berries on and thought I’d snap a pic. Is that sad? Yes.. probably. But isn’t it pretty and Christmassy! On a recent trip to Primark I picked up this glass cat mug by Gabriella for only £2! Super cute and perfect for cosying up at home with a hot chocolate. 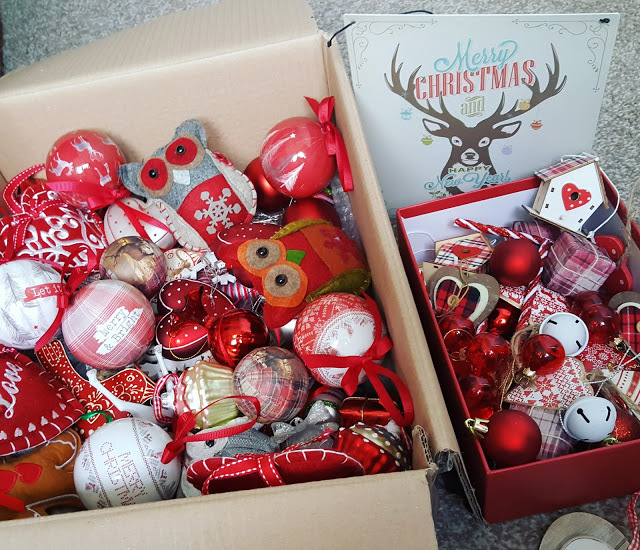 Your bauble collection is amazing! 🙂 I'm in love!